Queen and Adam Lambert will return to Arena Birmingham on Thursday and December 16 to showcase a new stage production and set list. Fans can look forward to a raft of surprises as well as some of the greatest rock hits ever written. Adam has made the role of Queen lead singer his own, playing alongside surviving Queen members Brian May and Roger Taylor. He had an instant chemistry with them and feels at home when he gets back on the road with his rock brothers. Adam is a flamboyant performer and loves the camp nature of some of Queen’s biggest hits. He tries to push things as far as he can and finds it liberating to be able to show off. He hopes the audience enjoys his theatrics and loves the fact that some bands were so over the top in the 1970s and 1980s, not taking themselves too seriously. He’s also glad to stand out from the crowd, treading a different path to many of his contemporaries. Adam has done tremendous work for the LGBT community. He was the first openly gay recording artist to have a number one on the US album chart, which represented a significant milestone. At first, the fact that he was the only person honest enough to talk about his sexuality made him feel a little insecure. He didn’t know how much the gay community actually supported their own. But he felt that kids coming up in the modern era were more hopeful about their prospects and less afraid. Adam became a household name by winning American Idol and had some hang-ups about it afterwards. He felt he was being judged by pockets of people because he’d featured on a TV show, rather than come up through the clubs. He was also worried that he wasn’t sufficiently mainstream to have a successful chart career – but he’s proved the doubters wrong. And more recently he’s started to write songs that reflect his love of blues and rock, creating music that has an earthy sound. The presence of May, Taylor and Lambert have made Queen a happy touring band. But when the band were at their peak, things were far from stable. The band were constantly on the verge of meltdown and nearly broke apart. They almost split up while Freddie Mercury was alive – usually after they’d just recorded an album. 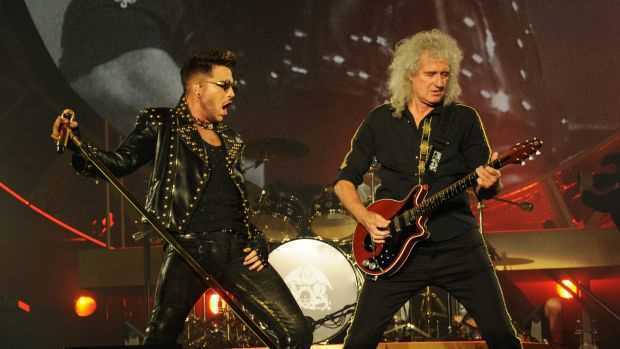 In a recent interview, Brian May revealed: “Oh, it was breaking up the whole time! Every time we made an album it seemed like we were about to break up, because of this business of ‘what are we and where are we going?’ All of us left the band at some point, and not just one time – all the way through. The band remain one of the most successful of all time and have sold between 150 and 300 million records, making them one of the most successful groups of all time. Their sales match those of legends like The Rolling Stones and ABBA. Arena Birmingham spokeswoman Becky Humphries says: “For their 2017 tour, the new show will include a specially designed state-of-the-art production.